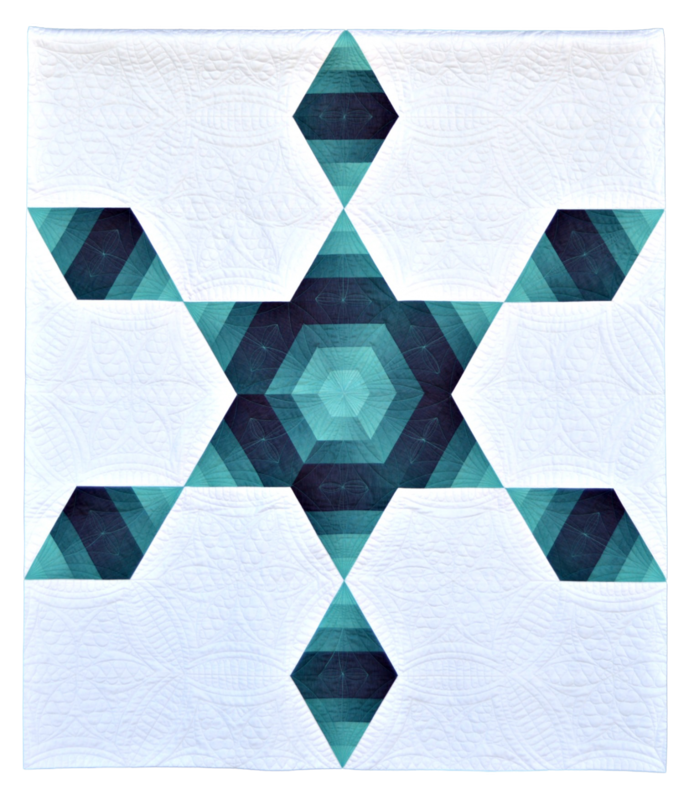 This beautiful Luminous quilt is made using 2 1/4" strips (not just any strips). This pattern also uses The 60° Triangle Tool. A paper template is included with the pattern, but you might just want to get the tool for yourself. 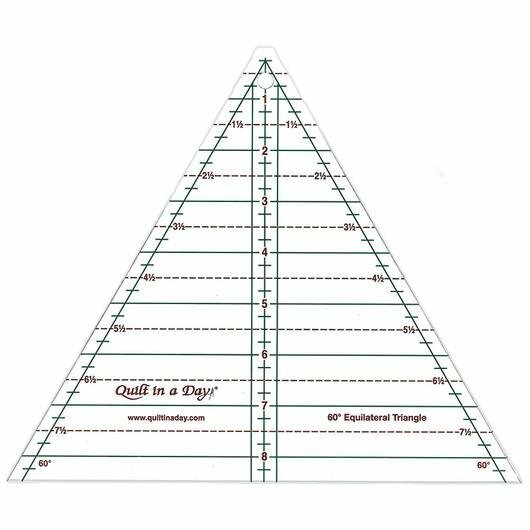 There is also a paper template for the triangle shapes you will need to complete the quilt. You might want to use a 60° Triangle such as the one shown below by Quilt in a Day. The triangle needs to have a blunt top and measure at least 7 1/2" tall. Finished size of quilt is 48" x 56"